Precise asymmetrical lines, crisp craftsmanship and Sidikai's signature metal piece. 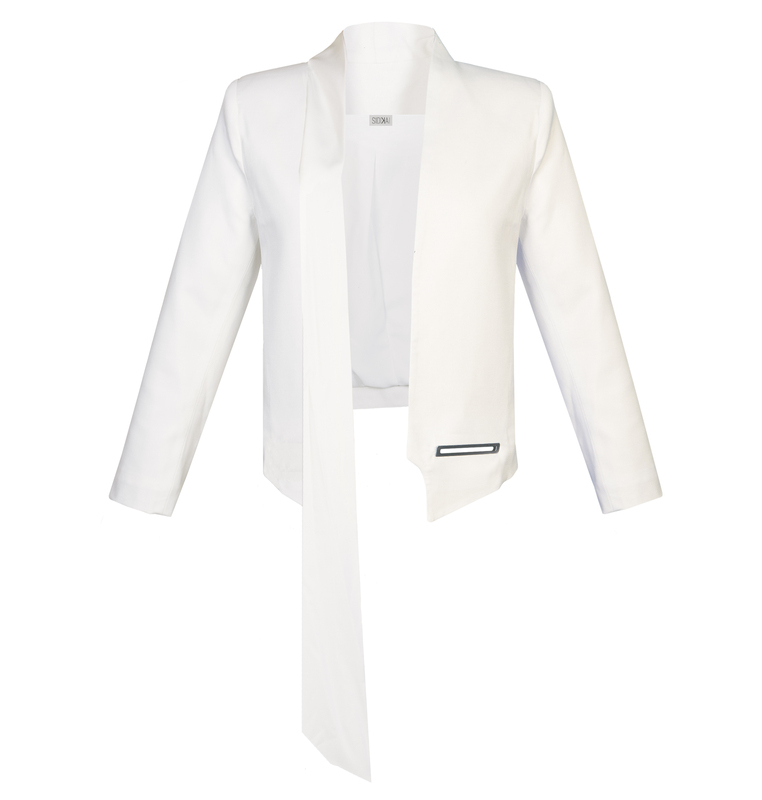 This is our own personal take on an all time classic: the blazer. Zero-Waste Oriented Design. Italian Organic Cool Wool. Nickel Based Metalic Piece. Made in Spain. All our pieces have a Zero-Waste oriented design, are made with sustainable fabrics and manufactured locally in Spain.